After a particularly tricky year for growing annuals I am bursting to get back on with it. Happily there is plenty that can be sowed in the Autumn. 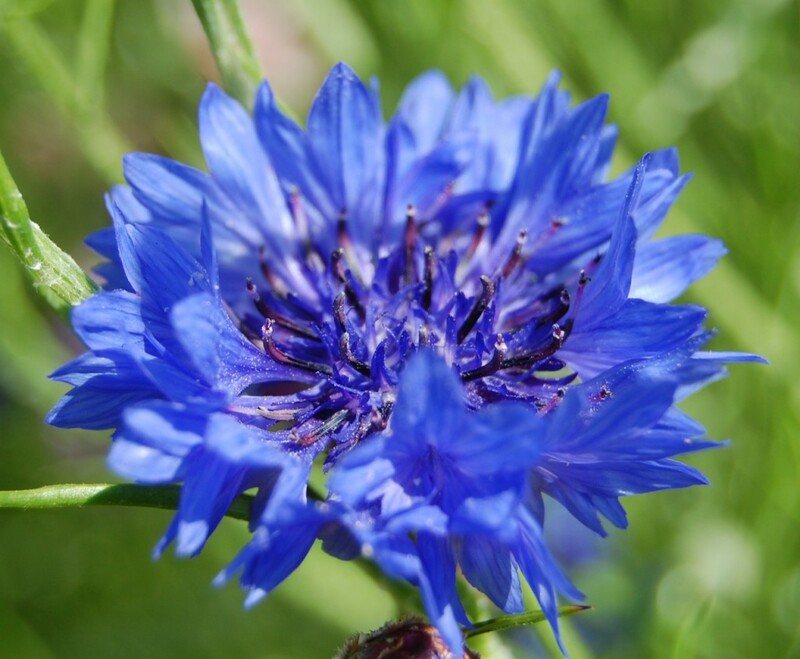 Cornflowers are one of my favs to sow in September. The ones I sowed last year grew huge and prolific…nearly five foot high. Stupidly I didn’t stake them and they got a severe battering in the July storms. How to Autumn sow cornflowers. *It’s easy! 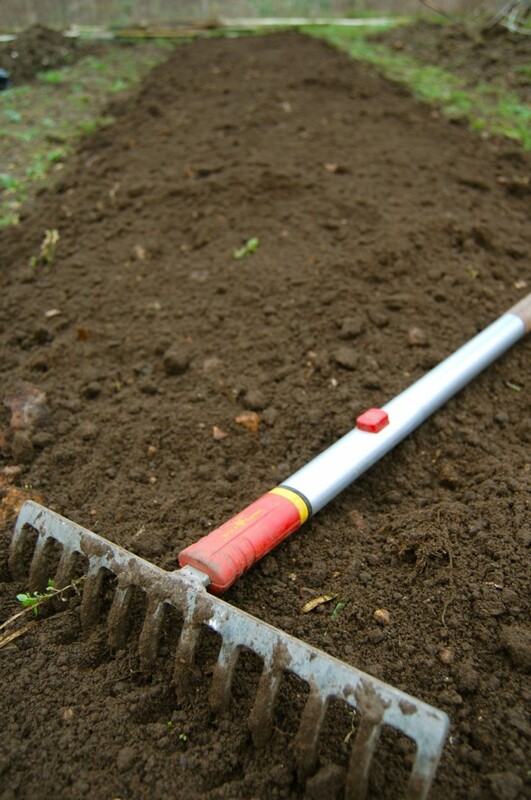 Prepare a seed bed down to a fine weed free tilth. *I grow three rows about a foot apart, in a bed about a metre wide. Narrow enough so that you can easily get to it from both sides. *Sow In September and/or October. *Sow the seeds fairly thinly. I generally sow the seeds about six inches apart, then thin out seedlings in the Spring to about a foot apart. *When they flower…keep picking them and the flowers will keep on coming. *You should have flowers from mid May and then if you wish you can sow another few rows in April in order to have flowers later in the season too. I’ve still got plenty in flower now. *Prewater your drills before sowing…this keeps the seeds from being washed away. 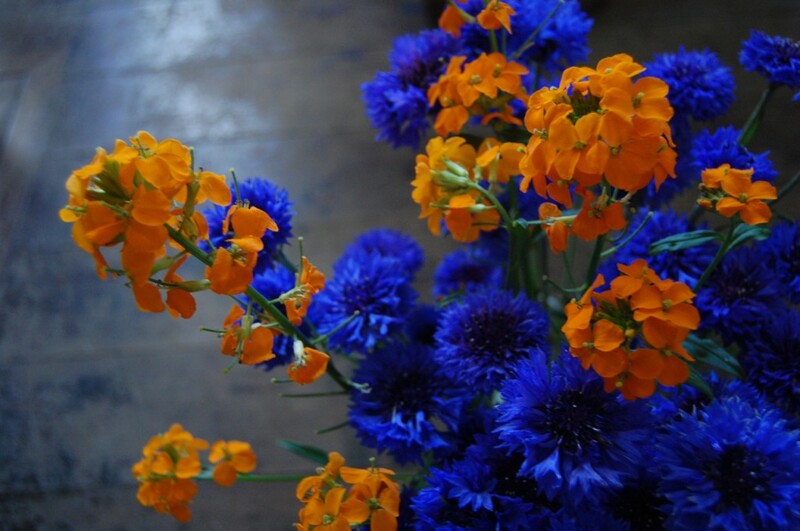 Below are some wonderful ‘Blue Boy’ Cornflowers and Hesperis. Click ‘Blue Boy‘ or ‘Black Ball‘ to view them in the shop. Or have a look at the super groovy value in our ‘Seeds to sow in Autumn collection‘ 12 packets for just £12 including postage. good! It won’t take long just to weed a couple of square metres…that would take nearly 20 plants…which will be lots of flowers come May time. Lots of other stuff you can sow too. :) Have fun!